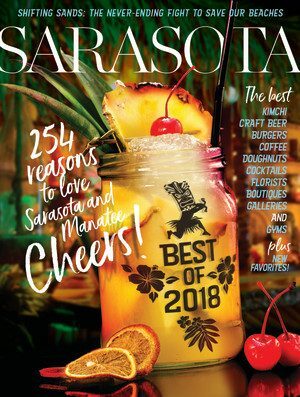 Since 1979, Sarasota Magazine has showcased the City of Sarasota and surrounding area, dubbed the cultural capital of Florida’s Gulf Coast. Sarasota’s award-winning coverage of the area’s vibrant arts and social scenes, real estate, dining, fashion, philanthropy, politics, health, environment and luxury living, are delivered to the region’s most affluent readers in month after month of beautiful magazines. Parent Company: SagaCity Media, Inc.